Stephanie Smith, 35, has a little son named Isaiah. When the little guy is born, she couldn’t be happier. But then she sees something strange on her newborn’s skin, and the tiny baby’s life transforms into a nightmare. 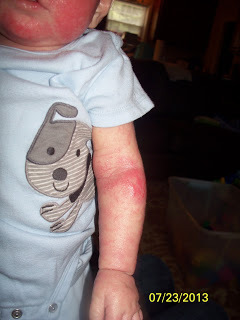 A red rash breaks out on Isaiah’s skin; he is just 3 months old. 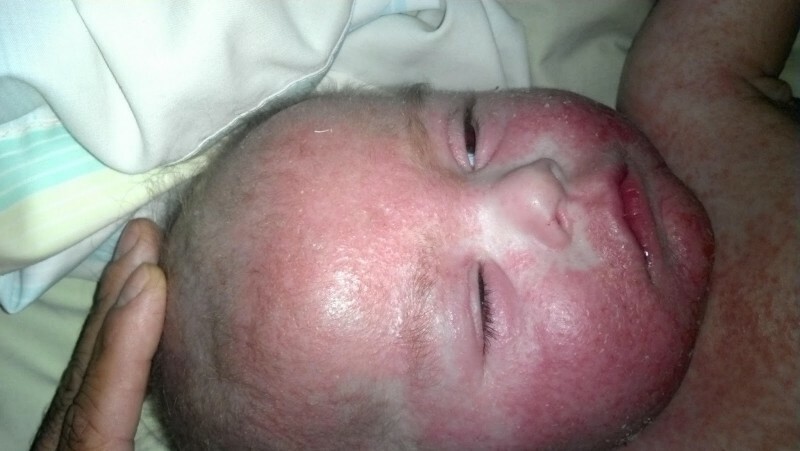 Every time when he is exposed to perfume or other intense odors, the rash becomes worse. 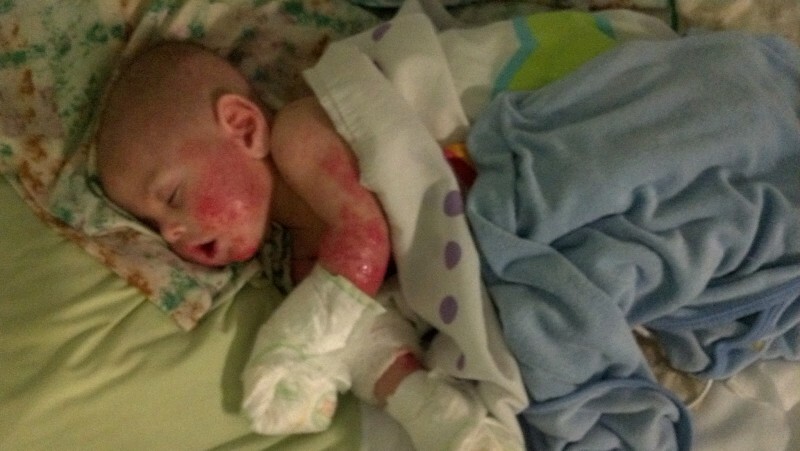 It gets so bad that Isaiah’s skin ruptures and begins to bleed and discharge. 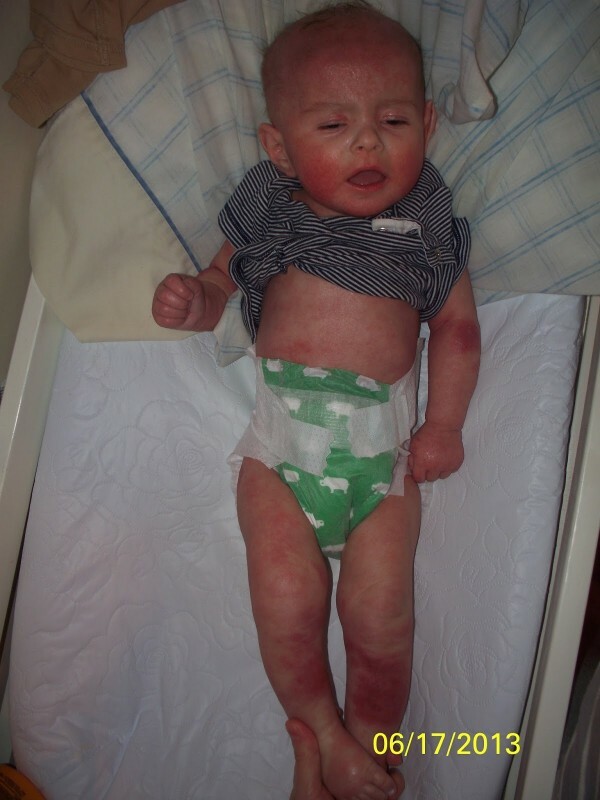 Isaiah’s entire body turns red and the rashes return even worse than before. The little one needs more ointment to tame the severe lesions. But it’s the same story we told earlier. 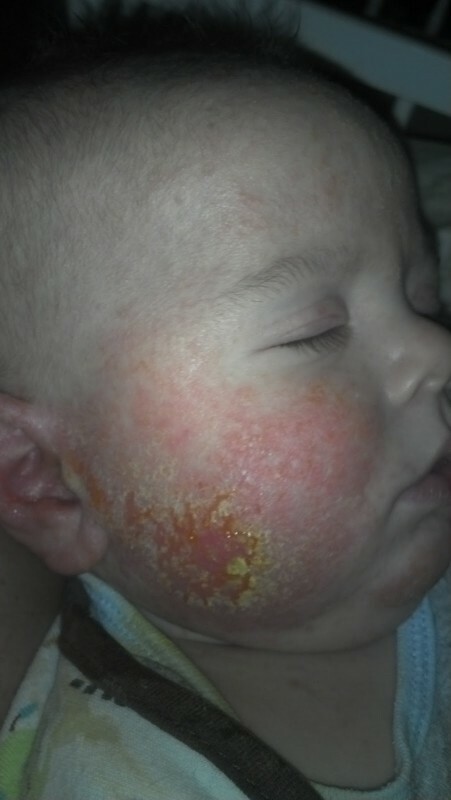 The rash recedes slightly but then returns even worse. The doctors cannot believe the reaction. His hair begins to fall out and he is hardly responsive. 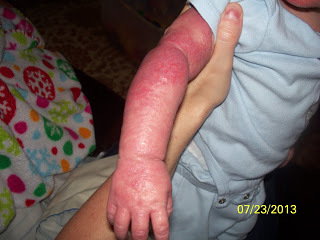 After 5 months, Isaiah is struck by an especially extreme outbreak and his skin begins to burst open. He is brought to the hospital and treated heavily with steroids. His skin returns to normal again but after 2 days the outbreak returns. The little boy screams incessantly. 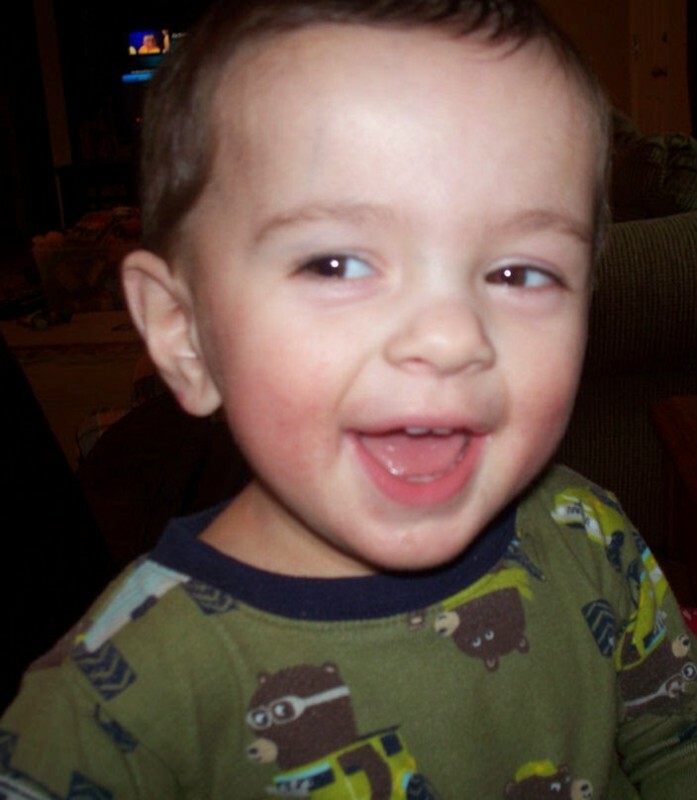 To help Isaiah, Stephanie begins to avoid everyday life experiences to decrease the risk of infection. She wraps Isaiah in medical bandages and applies layer after layer of topical ointment. Even his hands must be wrapped up so that he can’t scratch himself while sleeping. Isaiah only feels better while in water, which is why Stephanie spends hours sitting next to him while he rests in the sink. This is the only place where Isaiah doesn’t cry. In the throes of desperation, as the doctors said they couldn’t help her son, she turns to the internet. On a forum, she finds a post about “Steroid Withdrawal” and sees pictures of children with the same problems. Suddenly she realizes what Isaiah’s problem is. “There they were talking about the side-effects of the steroids and how it could make skin problems worse when you stop taking them." 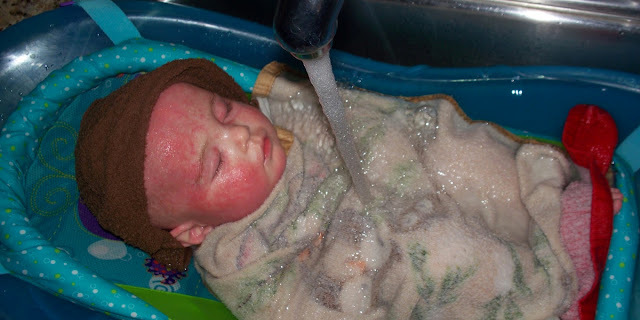 Stephanie decides to stop her son’s steroidal treatment and instead to make her own lotions and ointments, designed to be as gentle to Isaiah’s skin as possible. A combination of lemon grass and zinc worked the best. 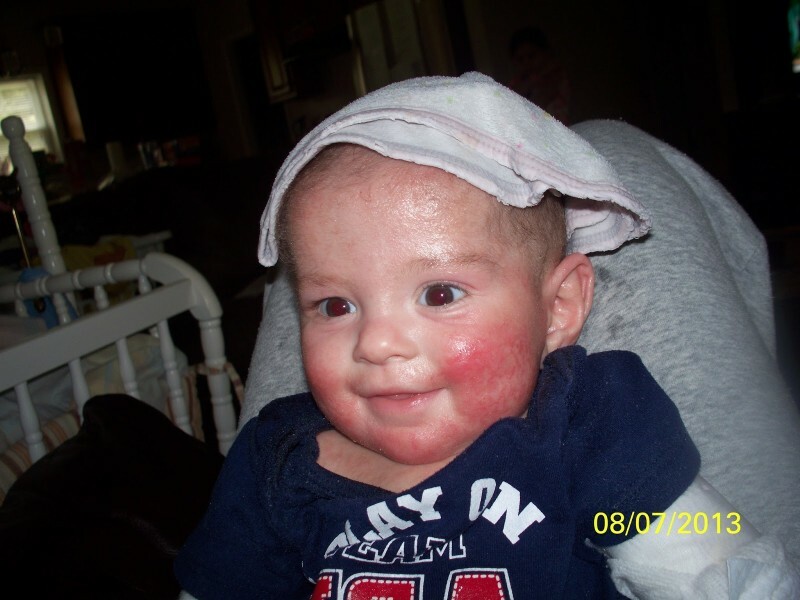 Soon, Isaiah’s skin began to develop spots completely free of inflammation. But even Isaiah noticed what stopped his suffering: when his skin began to itch, he would run to his mother and point to the ointment. Stephanie tells, as only she can, what happened to her son. She did so because her story can possibly help other mothers whose children are also suffering from the same problem. That is why it is important to share this story with others. Maybe it can help another child and a desperate mother.